Heat some oil in a pan and fry slices of onion and pressed garlic on it. Add finely chopped squid tentacles, sliced mushrooms, Vegeta and black pepper. Saute until all the liquid from mushrooms evaporates. Remove from heat and let cool. Add bread crumbs, parsley, flour, tomato puree and wine. Taste and if you feel like it, add some more Vegeta and/or pepper. Stuff squids with this filling and “close” them with toothpicks. 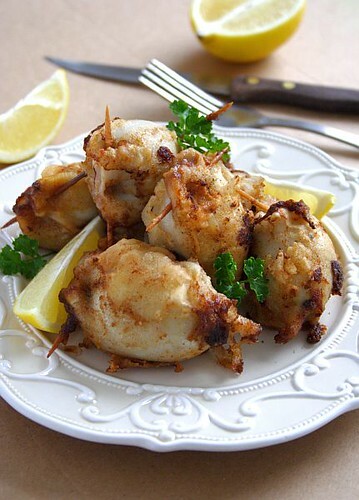 Coat stuffed squids with flour and fry on oil. When I fried them, I heated that much oil that the squids were soaked in it to the half. Also, be careful when frying as the oils splashes a lot. awesome is the word for it!! Yummy looking. So moist and juicy! Koja nevjerovatna kombinacija. Takav nadjev u lignjama nisam nikad probala. Izgledaju fenomenalno. 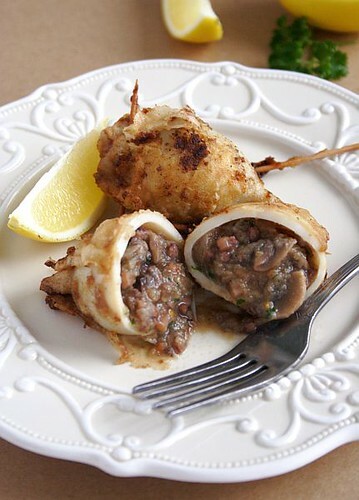 Stuffed squid is a favourite of mine, as are mushrooms. I'm so glad you paired the two…they go really well together. I have never had squid! I would have to say that the way you have it presented here I would be happy to try it though! Pobogu lignje nisu riba?! ?Iako i jedni i drugi žive u vodi.Inače, Vegeta je so sa sušenim povrćem, a koliko ja znam, oba idu sa ribom. Jes ti dobro pročitala deklaraciju na Vegeti? Oh my! If I can get some squid like this, I'll HAVE to make this recipe! Ko voli nek izvoli, ko ne voli, neka nađe nešto bolje. Odavno su pametni ljudi utvrdili da o ukusima ne treba raspravljati.Na ovom blogu svi komentari, i pozitivni i negativni do sada su se objavljivali. Oni koji vređaju samo govore o osobi koja ih je napisala i ubuduće neće biti objavljivani.Sve, ali sve se može reći na civilizovan način. I've never heard of such a dish, but wow, these look delicious! 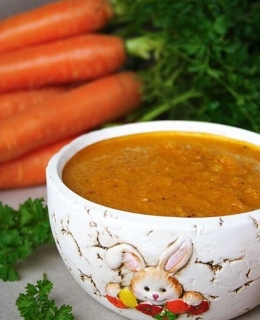 Marija, what a creative recipe! Is there a cooking show on Serbian TV? I bet there is. They should hire you!! you are great!!! Happy Holidays to you and your family! Delikatesno! Ljignje obožavam, a nikad ih nisam kombinirala s gljivama koje također volim, vjerujem da je ovo vrlo ukusna kombinacija. Omg… how easy and absolutely awesome! I'll have to get over my fear of oil. Never tried this combination before. I adore squids, but we just fry them here. This will be a great change. To stuff them with mushroom is a wonderful idea! Will be making these stuffed squid more often….. Thank you for the recipe, it’s a hit here in Fiji….